Sound. That is really the only thing that matters about headphones. Or at least that is supposed to be the only thing. But we all know that brands matter as well, and that is where the Brookstone® Pro Bluetooth® Headphones come in. The best thing about using a known brand as a promotional item, is that it quickly overcomes the quality issue in the mind of the recipient. 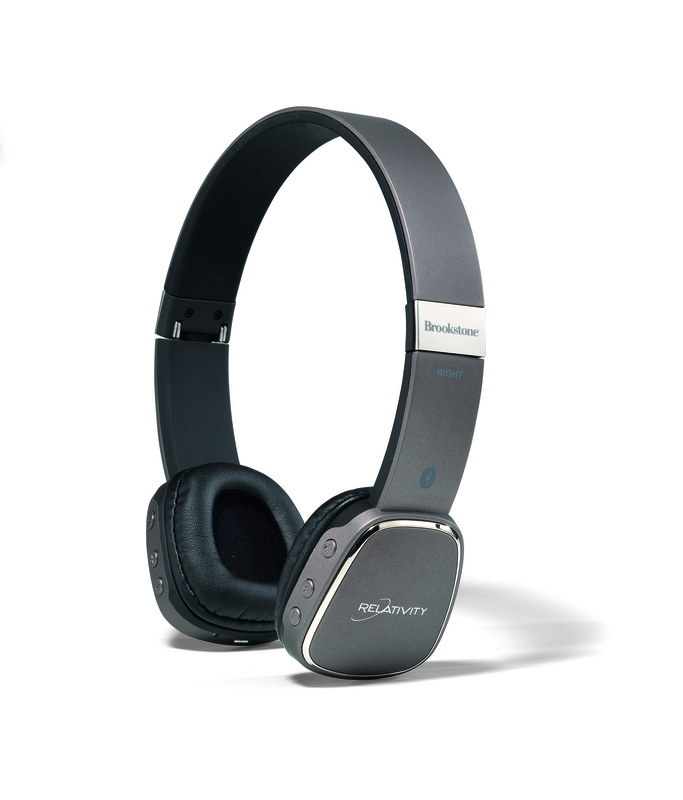 The Brookstone® Pro Bluetooth® Headphones looks great, sounds great, and has a brand name that people will recognize. They carry the Brookstone® name directly on the band, and allow for decoration on left panel center or right center panel at a size of 1w ax .5H. I am also a fan of the 10hr playback time (so most plane trips including waiting in the terminal) and built in microphone for phone calls you might get while wearing. There is even a carrying case. Please contact us at info@proformagreen.com if you would like more information on the Brookstone® Pro Bluetooth® Headphones. This entry was posted in headphone, Technology. Bookmark the permalink.